The study, led by Dr Chris Wilcox with co-authors Dr Denise Hardesty and Dr Erik van Sebille and published in the journal PNAS, found that nearly 60 per cent of all seabird species have plastic in their gut. Based on analysis of published studies since the early 1960s, the researchers found that plastic is increasingly common in seabird’s stomachs. In 1960, plastic was found in the stomach of less than 5 per cent of seabirds, rising to 80 per cent by 2010. The researchers predict that plastic ingestion will affect 99 per cent of the world’s seabird species by 2050, based on current trends. The scientists estimate that 90 per cent of all sea birds alive today have eaten plastic of some kind. This includes bags, bottle caps, and plastic fibres from synthetic clothes, which have washed out into the ocean from urban rivers, sewers and waste deposits. Birds mistake the brightly coloured items for food, or swallow them by accident, and this causes gut impaction, weight loss and sometimes even death. 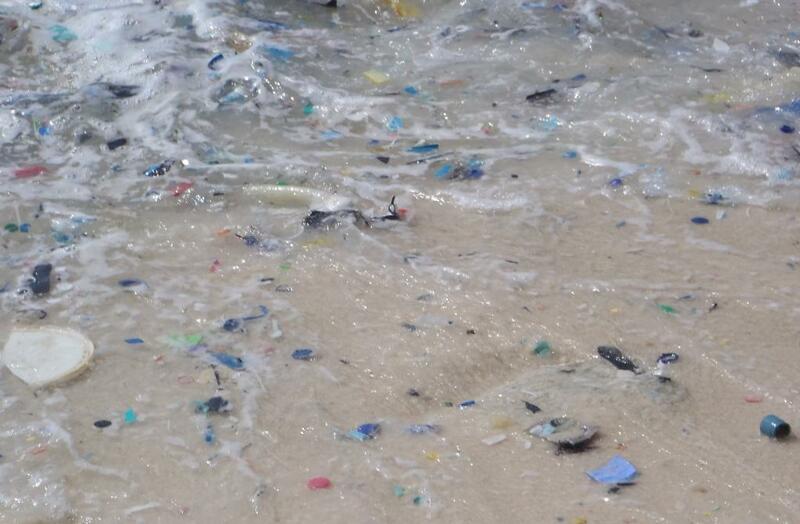 “For the first time, we have a global prediction of how wide-reaching plastic impacts may be on marine species – and the results are striking,” says Dr Wilcox, a senior research scientist at CSIRO Oceans and Atmosphere. “We predict, using historical observations, that 90 per cent of individual seabirds have eaten plastic. This is a huge amount and really points to the ubiquity of plastic pollution. Plastic pollution in the ocean is a global concern; concentrations reach 580,000 pieces per km2 and production is increasing exponentially. Although a large number of empirical studies provide emerging evidence of impacts to wildlife, there has been little systematic assessment of risk. We performed a spatial risk analysis using predicted debris distributions and ranges for 186 seabird species to model debris exposure. We adjusted the model using published data on plastic ingestion by seabirds. Eighty of 135 (59%) species with studies reported in the literature between 1962 and 2012 had ingested plastic, and, within those studies, on average 29% of individuals had plastic in their gut. Standardizing the data for time and species, we estimate the ingestion rate would reach 90% of individuals if these studies were conducted today. Using these results from the literature, we tuned our risk model and were able to capture 71% of the variation in plastic ingestion based on a model including exposure, time, study method, and body size. We used this tuned model to predict risk across seabird species at the global scale. The highest area of expected impact occurs at the Southern Ocean boundary in the Tasman Sea between Australia and New Zealand, which contrasts with previous work identifying this area as having low anthropogenic pressures and concentrations of marine debris. 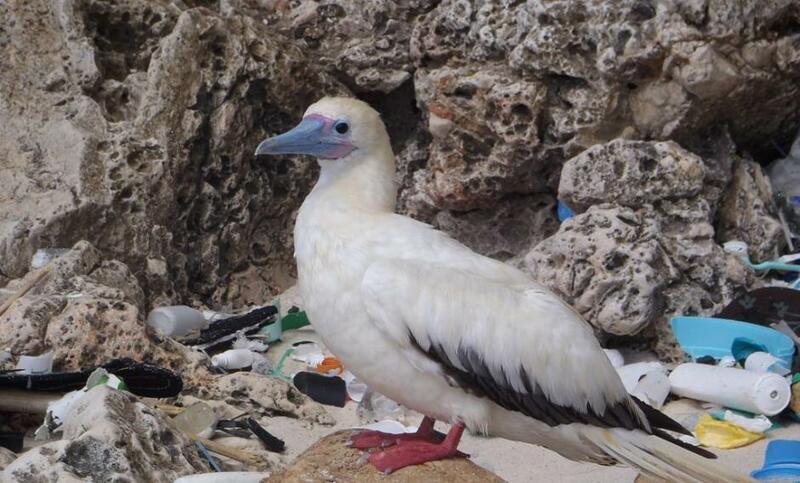 We predict that plastics ingestion is increasing in seabirds, that it will reach 99% of all species by 2050, and that effective waste management can reduce this threat.